This applies to bad dates and past relationships. When we meet someone we automatically try to figure them out. We make judgments based on first impressions but there is so much more to a person besides their clothes and hairstyle. Going on dates teaches you to be more open and willing to get to know people for who they actually are before writing them off. Also, going on dates opens you up to new restaurants, activities and cool bars that you would not have know about if you hadn’t gone on the date. And, if the date was bad, you now have a new spot to bring all of your friends next time you want to change it up. We can also learn a lot from failed relationships, whether they ended on decent terms or it was the World War III of breakups, there is always a silver lining. And I know that sounds cheesy, but it’s true. When you go through a horrible breakup, you reflect on all the things that went wrong and the way things should have been handled. Regardless of whether it was your fault or your significant other’s, you now know how to handle those issues in the way you wish you had. No matter how toxic or how simply uninterested you were, you learn what you like and what you don’t like, what you want and what you don’t want, and what’s important and what’s not important. You learn about yourself and there is nothing more valuable. The phrase goes, you have to kiss a few frogs before you find the one. And that one may be right around the corner. So take the date! Unless there is a blaring reason not to, have an exciting night out with someone you just met. You just might actually find a keeper in the crowd. 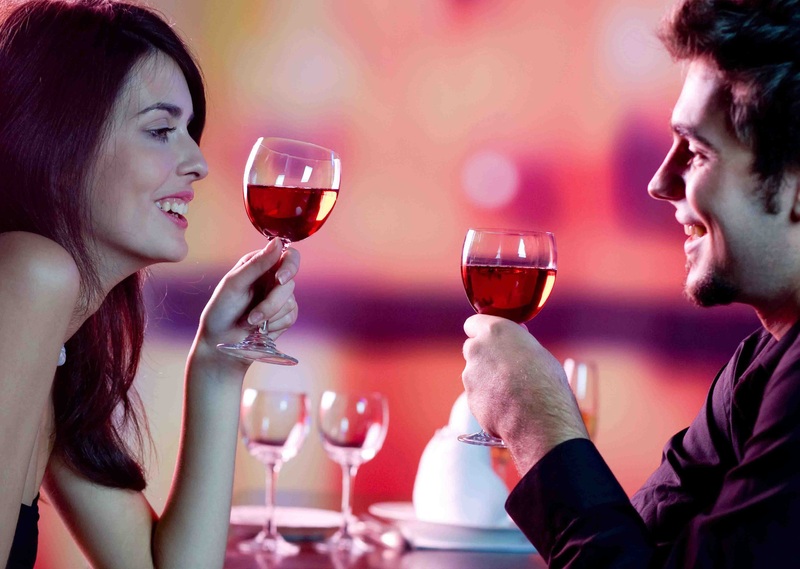 Embarking on a first date can be can be scary sometimes, regardless of if it’s a blind date or one that’s been set up by relationship experts. It can mean something as small as grabbing drinks or as extensive as a five course meal. Whatever the date may be, following these steps are a surefire way to make a great first impression. Listen. As my grandfather used to say, “you’ve got 2 ears and one mouth for a reason”. This applies to everything in life, especially first dates. People love to talk about themselves and asking the right questions can really open a person up and start a great conversation. No one wants to be interrupted or feel like that can’t get a word in. Relationships are a two way street, give and take. The same goes for conversation. Put your phone away. Whether you are texting, calling, or simply checking your phone for the time, you’ll make your date feel unimportant. So instead, wear a watch to keep track of time and let your friends know that you can’t be reached during those couple of hours so you wont be tempted to answer. Wear something comfortable. And no, this does not mean jeans and a t-shirt. Make sure that the outfit you pick out is one that you’ve tested out before. Wearing 6 inch heels that make it impossible to walk are probably not the best choice. Get excited. It’s not everyday that you get to dress up a bit, take advantage. When you see them, make sure to smile so they know you are happy to be there. Nothing makes a man feel great like a beautiful woman who is interested in him. Bring your manners. Hopefully they’ll also bring theirs and open doors for you. Please and thank you’s can go a long way in life. Assume that they are buying. Never forget your wallet at home. Even if they do pick up the tab (and in my opinion they should) not bringing a wallet could leave a bad impression. Also, if they want to split the bill and you have no money, things could get awkward, fast. Get drunk. Sloppy first dates rarely lead to second ones. Know your limits so that you don’t end up drunk. Drinks are fun to have so you loosen up a bit, just don’t come unraveled. Ask about exes. The reason you are on a date is to get know someone new, not to talk about your past. Exes can bring up bad experiences and can leave your date thinking that you are stuck in the past. Above all, be yourself. Confidence is the most attractive quality a woman (or man) can possess.